Baking is pretty easy, but baking something that looks and tastes professional? Not that easy. 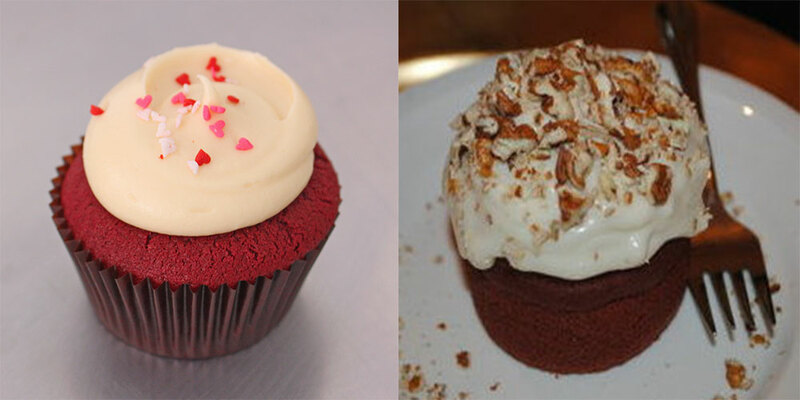 See the difference between a professionally-made and a homemade cupcake? We get chief baker and owner of Kisses Bakery in Tiong Bahru, Wendy Koh, to spill some baking tips. Tip #1: Don’t use cold ingredients. Cold ingredients don’t mix well, so don’t mix your butter, sugar and eggs straight out of the fridge or you’ll get a lumpy mixture. Nobody likes lumps in their cupcakes do they? Use ingredients that are at room temperature instead for smoother batter. Tip #2: Know what speed to mix at. 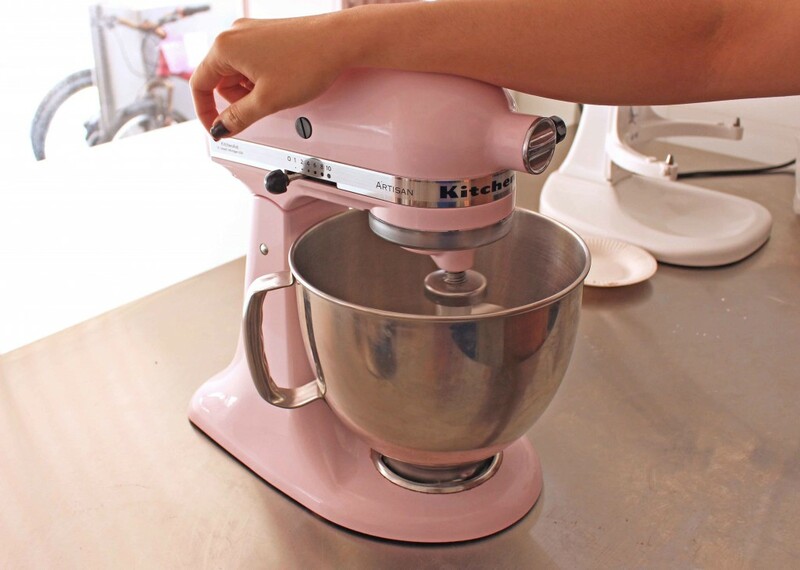 Most ingredients like butter, sugar and flour should be mixed at low speed. It may take longer, but Wendy says this will prevent the batter from being over-mixed. After creaming the butter and sugar, the batter should be pale shade of yellow. Eggs can be mixed at high speed, but take care not to mix them for too long or your cupcakes won’t be nice and fluffy. Tip #3: Remember to mix well. 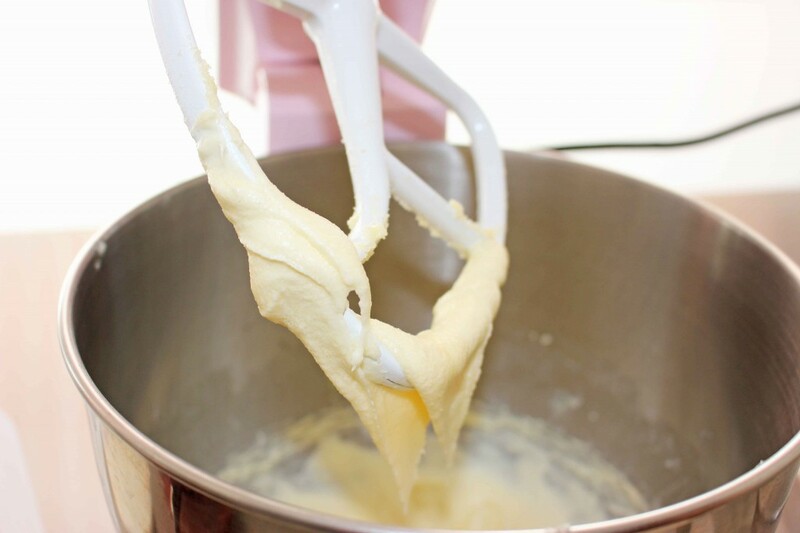 If you’re using an electric mixer, stop the mixer periodically to scrape the batter off the whisk before mixing again. This will ensure that the batter is well mixed, and that there won’t be any random lumps popping up later on in the baking process. Tip #4: Use an ice-cream scoop. Using an ice cream scoop to scoop the batter is much neater and easier than using a spoon. It also ensures that your cupcakes will look even, as opposed to something like this. 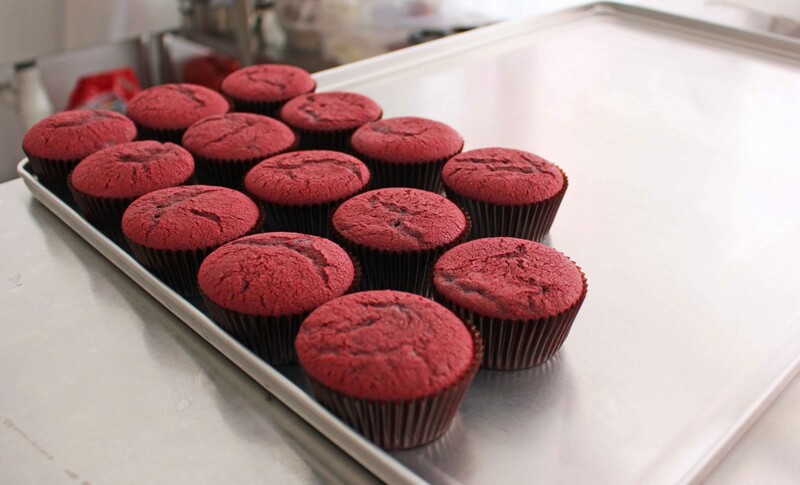 We get that you’re eager to taste your cupcakes, but in this case, a little patience pays off. Opening the oven while the cupcakes are still baking might cause them to sink, and nobody likes ugly cupcakes. If you really must sneak a peek, make sure to do so only after the cupcakes have been in the oven for at least 15 minutes. Tip #6: Always watch the icing. 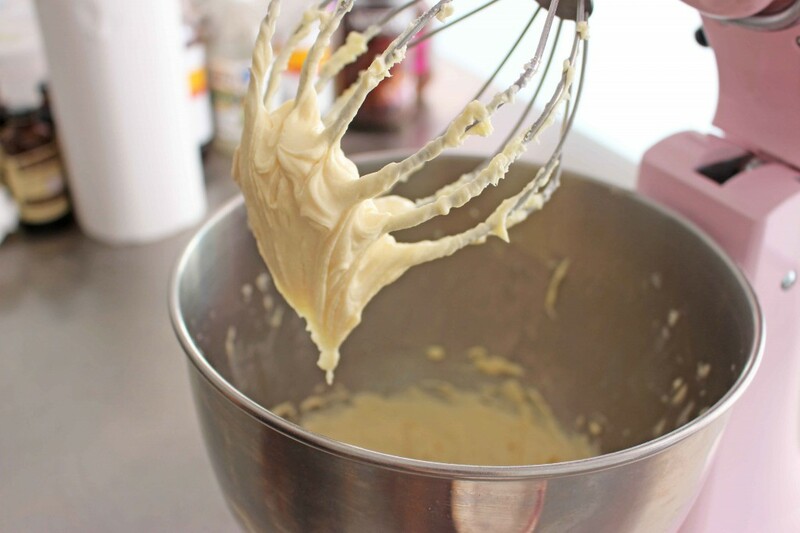 While you can get away with leaving the electric mixer to work its magic on your batter while you do something else, you can’t do that when mixing the icing. Mixing the icing is a little trickier because you want to make sure that it is the right consistency (not too watery or hard, and malleable enough to hold its shape). If you find that the icing is too watery, try adding a bit more icing sugar to make the mixture more solid. 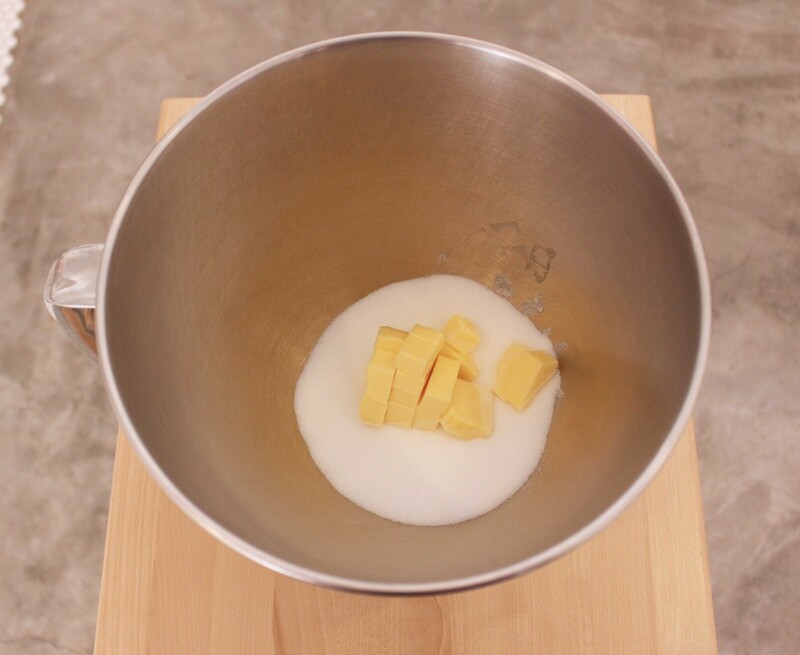 Also, cut the butter and cream cheese into cubes before mixing – this will make the mixture much smoother. 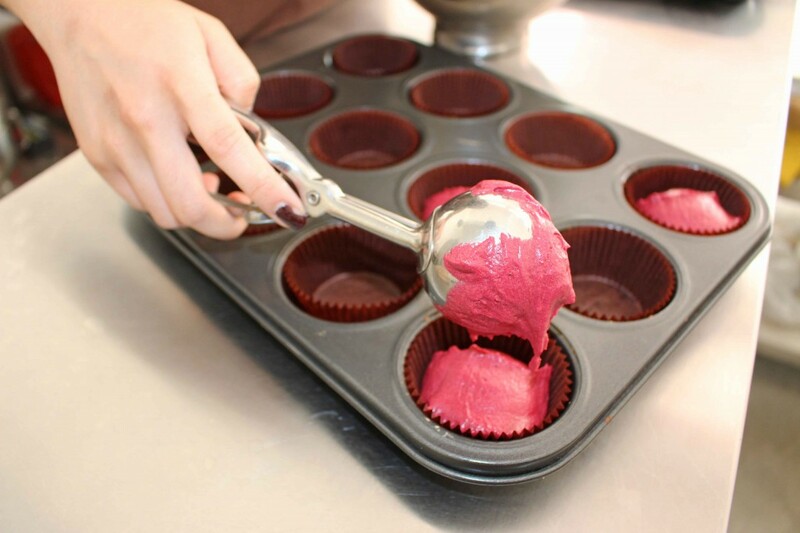 Tip #7: Leave your cupcakes to cool before icing. You know how recipes always say to leave the cupcakes to cool for 5 minutes before icing? And you know how you never listen because you’re just too excited to get to the fun part of baking (aka icing and decorating)? Yeah well, you should listen. Icing the cupcakes straight out of the oven might make the icing melt and lose its shape, resulting in ugly deformed cupcakes that nobody will rave about on Instagram. This is a sad but true fact of life: pretty things = more likes. Tip #8: Use icing tips. 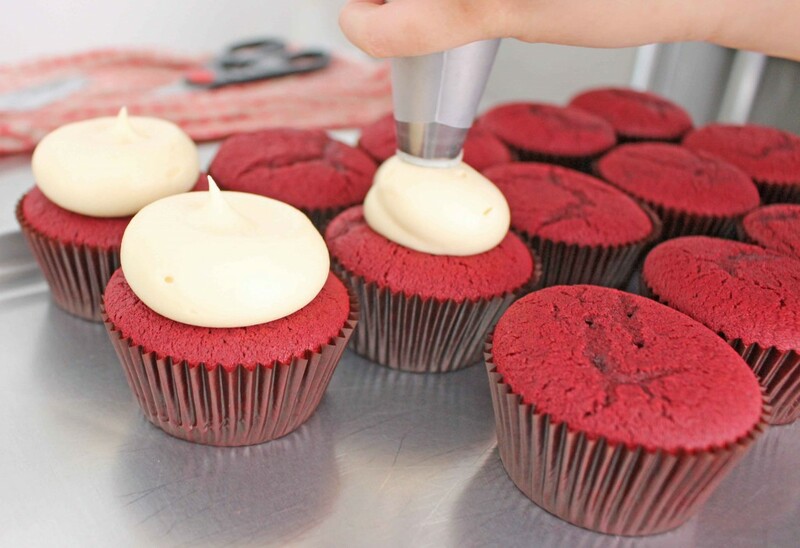 Instead of dumping icing onto your cupcakes with a spoon, invest in an icing bag and some decorative tips. With some practice, you’ll be able to make pretty rosettes in no time. Tip #9: Know what to scrimp or splurge on. You can scrimp on ingredients like sugar and eggs, but splurge a little on butter because you’ll be able to taste the difference in quality. For that extra oomph in your cupcakes, use good quality vanilla extract (or vanilla bean paste, but it’s more expensive) and cocoa powder. 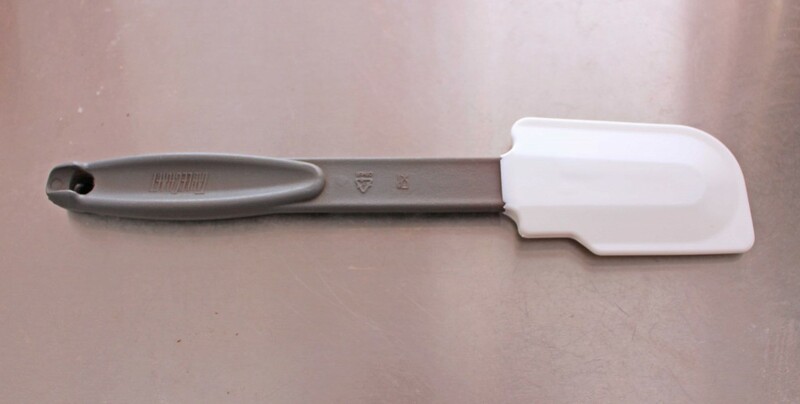 For tools, you might want to get a good spatula because you’ll be using it a lot for mixing and scraping. Wendy says you can find good baking ingredients and equipment from Phoon Huat, Kitchen Capers and LemonZest. If you want to get some boxes to store your cupcakes in, try SunLik. 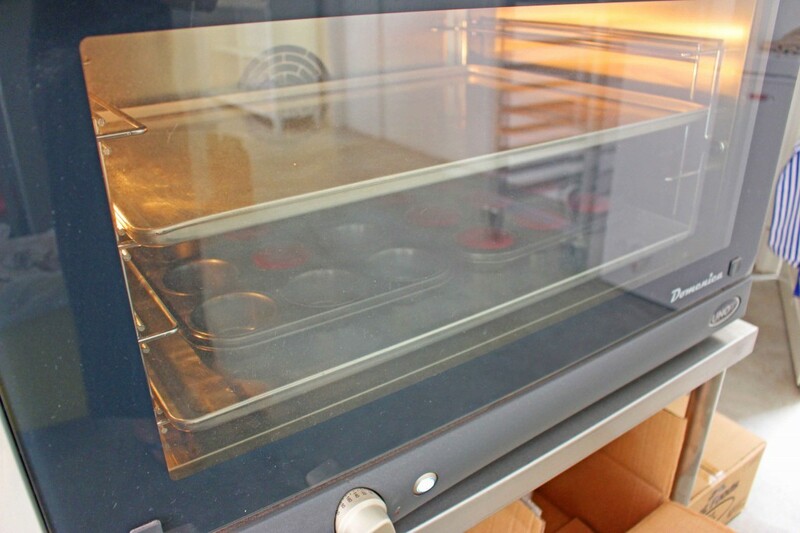 Tip #10: Store cupcakes at room temperature. 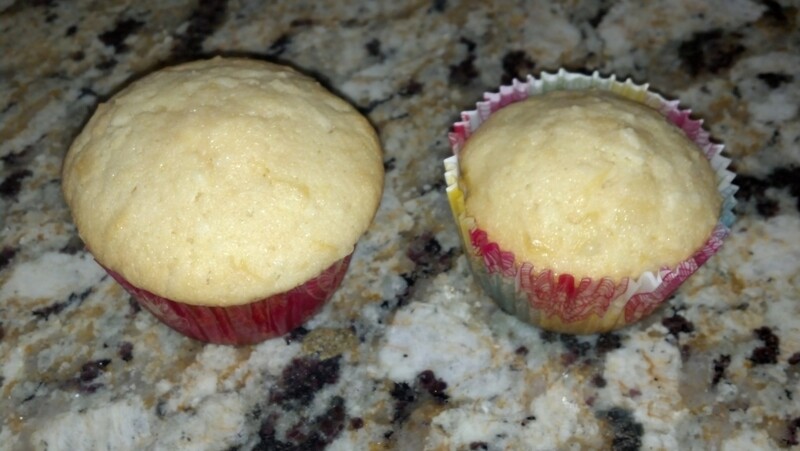 Avoid putting your cupcakes in the fridge, or they will become dry and hard. Store them at room-temperature instead, in an air-tight container. If you need to store them for a longer period of time, put them in the freezer in an air-tight container to lock in the moisture. 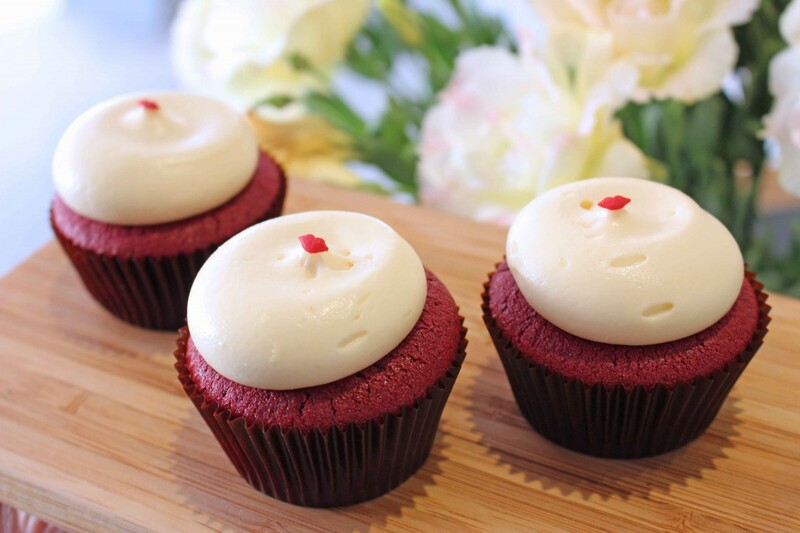 For a bakery that’s barely a year old, Kisses Bakery sure has made a mark with its delectable cupcakes. 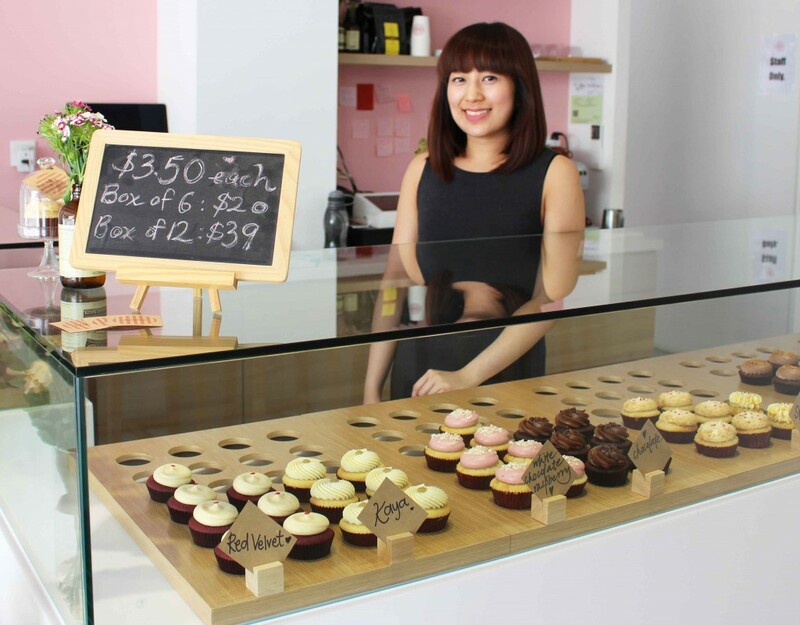 Baker and owner Wendy Koh starts baking the day’s cupcakes at 6am everyday, and comes up with all the flavours on the menu (our favourites are Salted Caramel and Kaya). She uses top notch ingredients and is stringent about baking standards – so it’s no wonder her cupcakes deserve, well, a kiss of approval. Kisses Bakery is located at 55 Tiong Bahru Road, Singapore 160055. The doors are bright pink, so you can’t miss it. Open daily (except Tuesdays) from 11am – 7pm.